are you feeling splattered and a bit cracked? Very nice! I love that door knob. I have not seen a door knob like that before... beautiful. love that turquoise colour of the door. love it. Oh, I'm with Margie - the color of that door is divine! The parade is growing - fun! 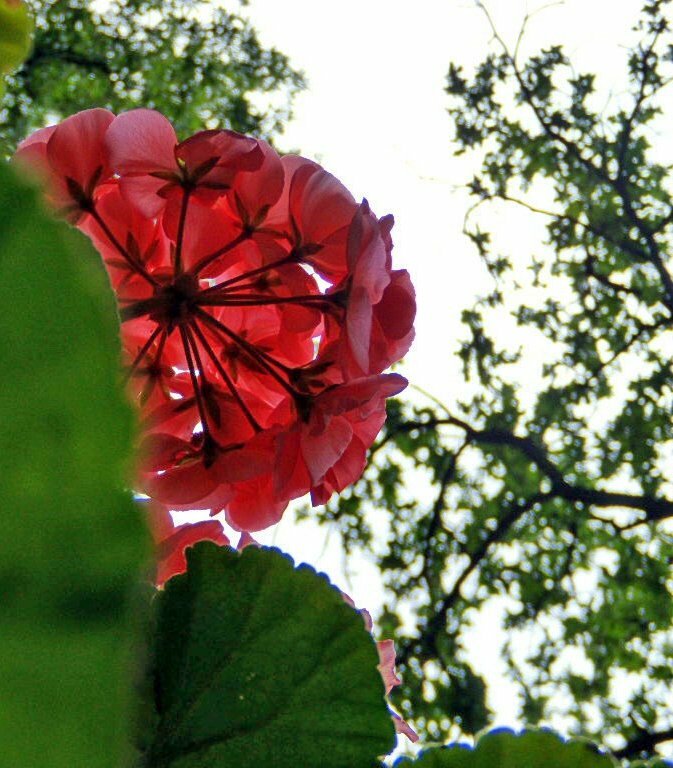 hello may....welcome ! I'm so glad you're here for your yearly visit...I think we'll have fun together !! Your pictures + your words = MAGIC! Thanks for worrying about me. I will be so glad to have time to blog again!! Ahhh, I'm so happy that beautiful May is here! Although the end of April was pretty wonderful, too! I love how you put this together. Lovely thoughts and images. Beautious photos...and such a calming storyline. Enjoy your weekend. Welcome May. what a great door knob! 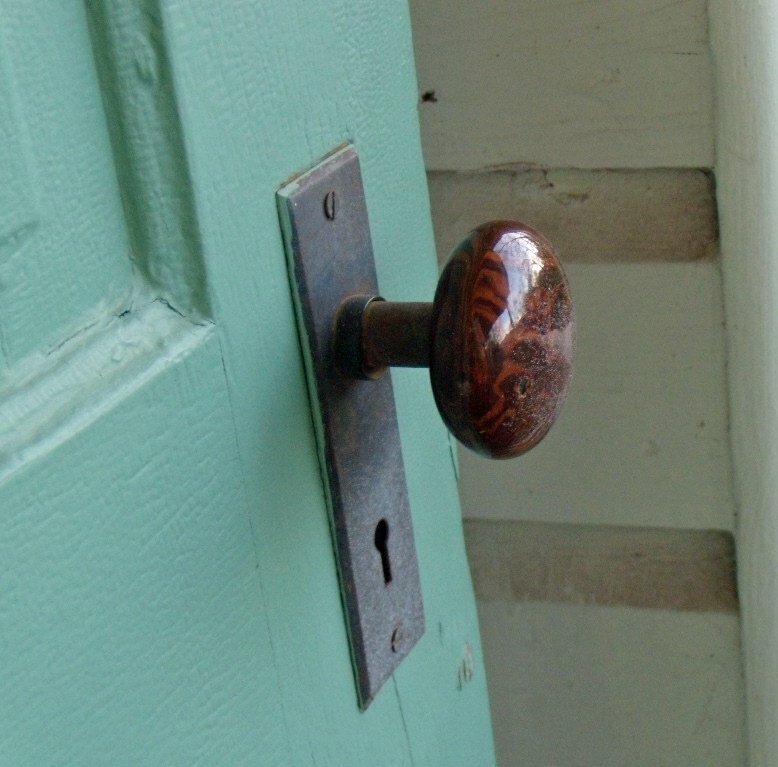 a door knob that truly invites a person in. yay! 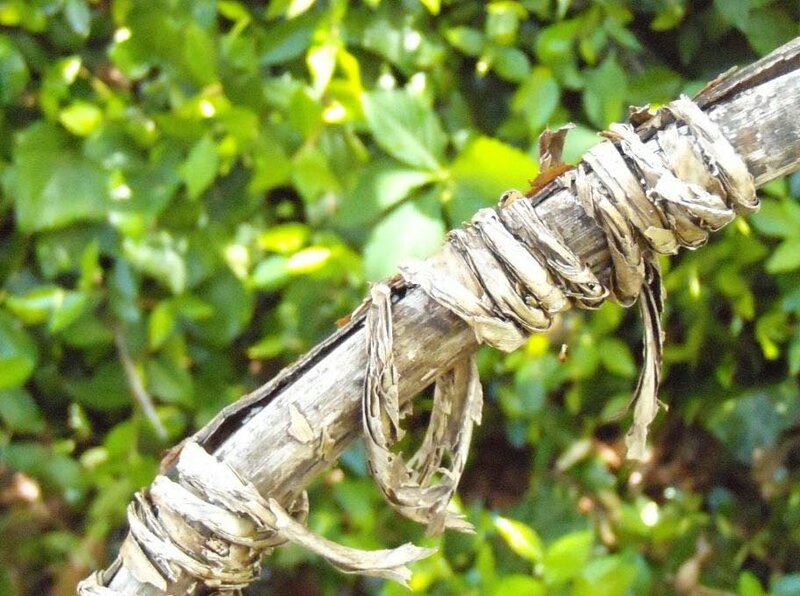 what a wonderful blog I have discovered here! I saw your name on a comment on another blog, and clicked! Beautiful photos, and words to match! Come visit my Wildflower Studio blog sometime! What a wonderful series of photos! The blossoms are beautiful. to start to pop up!! Awww, great sentiment friend. Yes here's to May and all it's beautiful spring possibilities! I love love love the color of that door! Love that doorknob and the colorful paint on the door! just how i feel. looking forward to may. Love the door knob! Nice thought... I'm so thankful I'm closing that door on April gently...and not slamming it.. Because it could be a slammed door you know.. But I choose peace as much as my Essence can take! Thank you for such a sweet reminder of Spring! May is a wonderful month. so happy she is here. Yes, and yes. : ) Hello May! Hello beautiful pictures! what a lovely tribute to the wonderful month of April—and May! 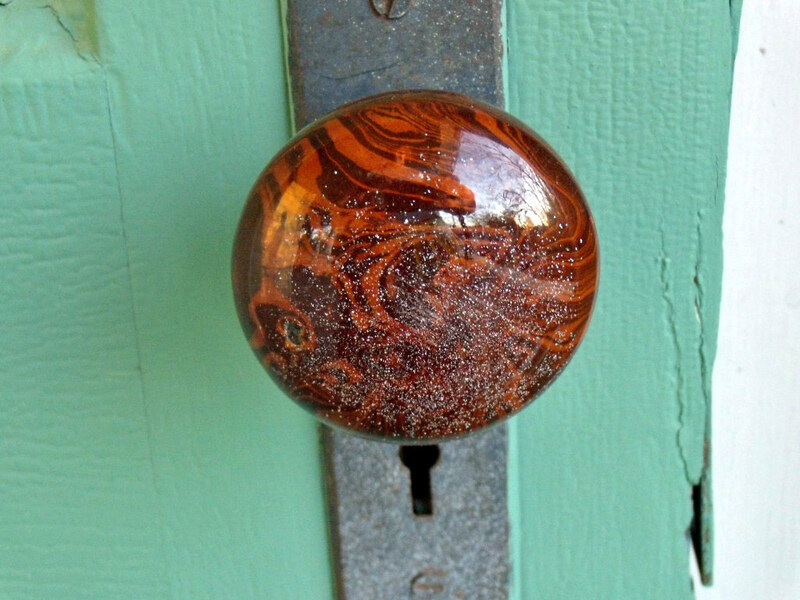 that vintage doorknob -- love, love it. Perfect post. Nothing less than perfection. And, yes. I am feeling a little bit cracked. What is it about April? And why the heck is it bleeding over into May?? YOu are so good at telling a story with your images. 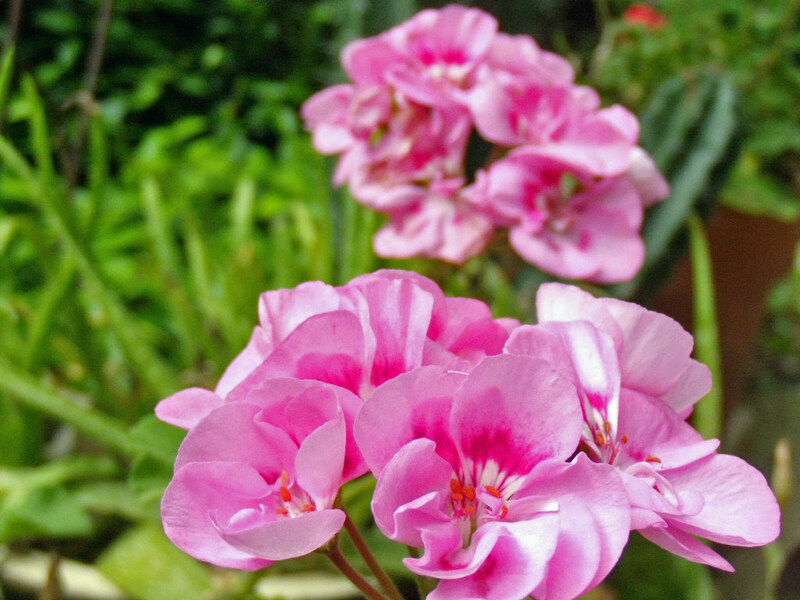 My favourite is the geranium from underneath,wow!